We've had a lot of crappy, cold weather lately but this past Saturday we got a day filled with blue skies and warm weather. When our friends from Bon Jeudi told us that they were getting together that day for a ride in our town to celebrate the "Ride Master's" fiance's birthday ... we knew we couldn't pass it up! Ken had gotten a new cruiser bike for Christmas and our friend Jeff, ("Ride Master") had a women's bike to sell me whenever we showed up to one of the rides. It had been a while since we'd ridden (on borrowed bikes) and we were itching to get out in some good weather. We all met up about 5 minutes from our house in Olde Town Slidell, rode around the quaint, older section of Slidell for a while, stopped at the Farmer's Market where one of the bicycle group's members was selling smoked barbecue (pig on a stick was sooo good), then stopped at KY's Bicycle Shop for lunch and birthday cake. This place has the best po-boys and nachos, and was previously a bicycle shop many years ago. As you can see from the picture above, folks inside the restaurant were checking us out. 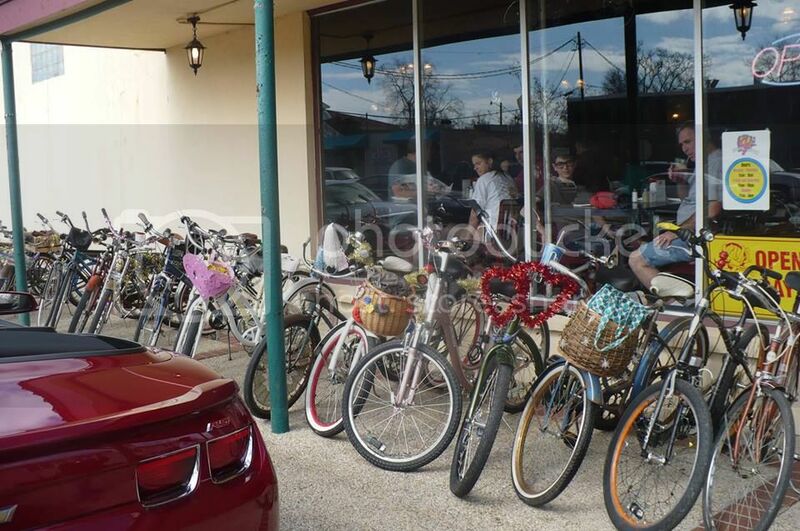 It's not too often that about 20 bicycles pull up to a restaurant around here! Riding through the streets with a boom box got us even more strange looks. With Mardi Gras right around the corner, some folks thought we were a parade. It's fun to bring a smile on someone's face and have them wave. 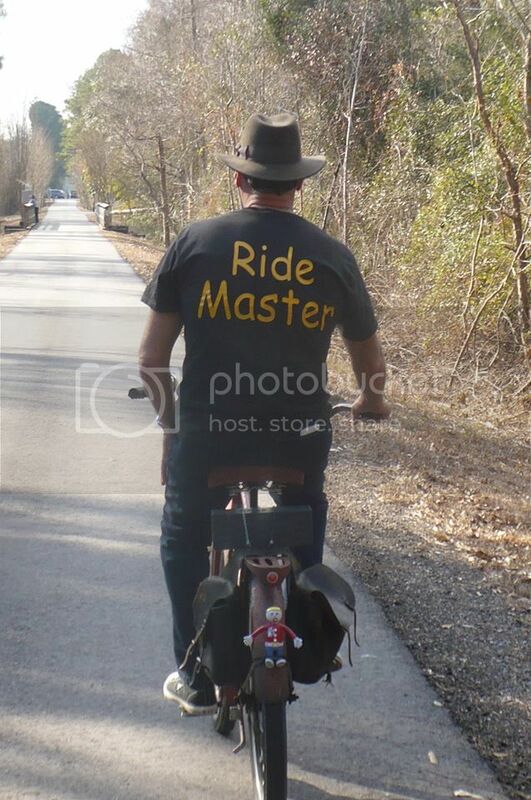 Below is a pic of the "Ride Master", with a speaker on his rear fender ... and Mr. Bill! 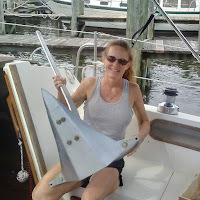 A new member joined that day ..."The Devil"! If someone in the group lays their bike down, the devil takes a place on their bike ... until the next person wipes out. 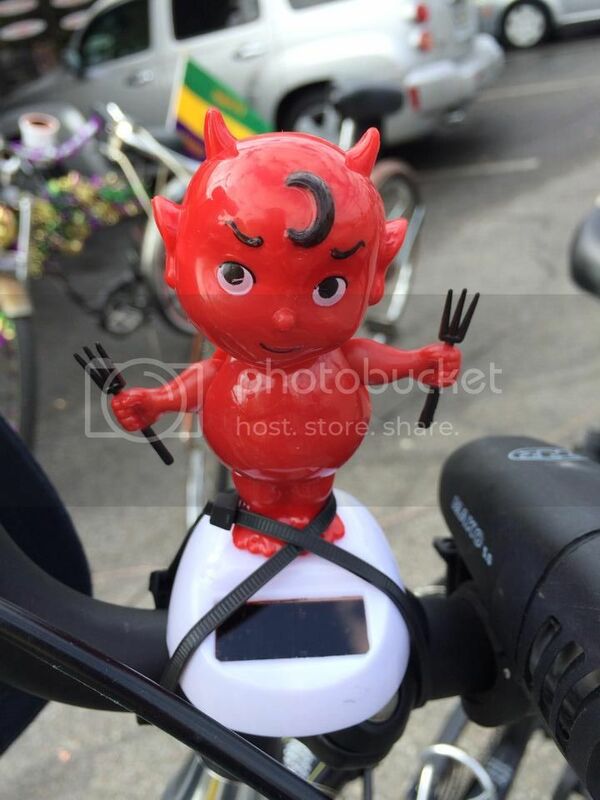 It didn't take long for the devil to find his first bike to sit on. The guy who got the little red man is still stuck with him. Luckily, Ken and I made it through the day without a visit from the devil. Another Bon Jeudi event is coming up in a couple of weeks, and it will be at one of our favorite (and very adult) parades in the French Quarter. We can't miss that one either. Look for some crazy pics from that one! Exercise is good too. Love this. What a fun day. We have a bike group that does bike Pub crawls with different themes and sometimes just as a social gathering. 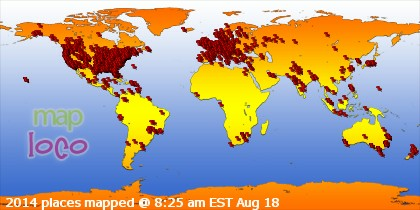 It's a blast! We coordinate with 4 or 5 pubs and then plan a route to each one. “A child on a farm sees a plane fly overhead and dreams of a faraway place. A traveler on the plane sees the farmhouse…and thinks of home.” – Carl Burns.